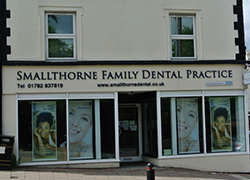 Smallthorne is a small village with a rich history. We aim to preserve as much of this history as we can and publish it on this website for the benefit of everyone who is interested and for future generations. We always welcome and encourage contributions to the site. 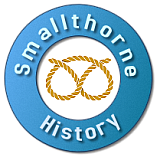 Share your memories, photographs, historical documents or just about anything you like, if it’s connected to Smallthorne then we’d like you to share it. A note on sharing family photographs: If you are sharing photographs of living relatives, even old childhood photographs please try to discuss your plans to share with everyone in the photograph to check they have no objections. A note on copyright: Please respect other peoples work. Where possible we have sought the relative permissions to publish the information and provide credits to the content authors. Sometimes it isn’t always possible to contact the authors and so I shall publish the information with a note to that effect, information is published in good faith and in the interest of preserving the history of Smallthorne. Some material published with explicit permission to be used on this site. Please observe any requests not to republish this material. If you are the rightful owner of any original material on the site we would where possible like to seek your cooperation in allowing the material to remain, please contact us.